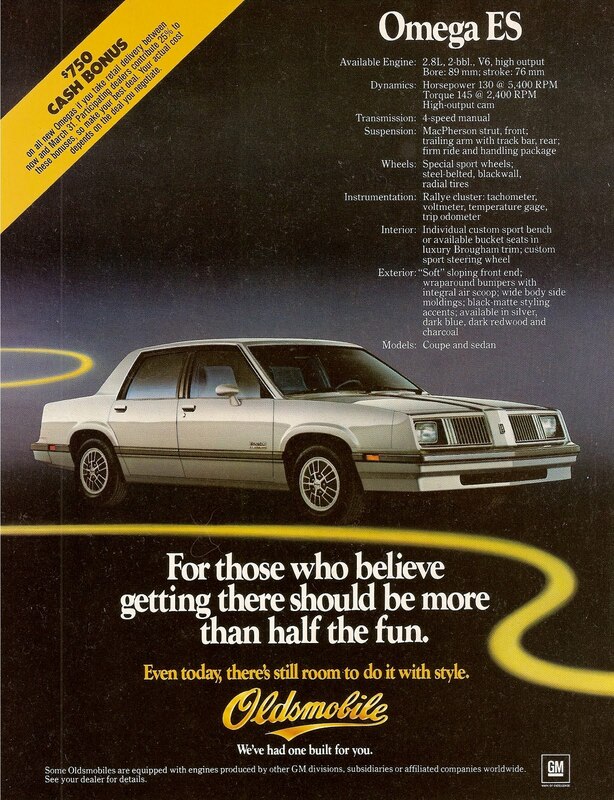 Beaterblog: Oldsmobile Omega ES - Getting There is More than Half the Fun! Oldsmobile Omega ES - Getting There is More than Half the Fun! Wait, where the hell are you going? Admittedly, this package is a better effort (especially considering the times) than what GM has managed to put together for the compact car enthusiast in years leading to the Cobalt SS. At least the package mandates the 'hot' motor paired with the manual. But still, a medium weight FWD sedan with 130 smog-strangled horsepower and a live rear axle is not fun compared to most destinations at which you will arrive...unless you only drive to CVS, Big-Lots, and the DMV in between visits to the doctor's office.